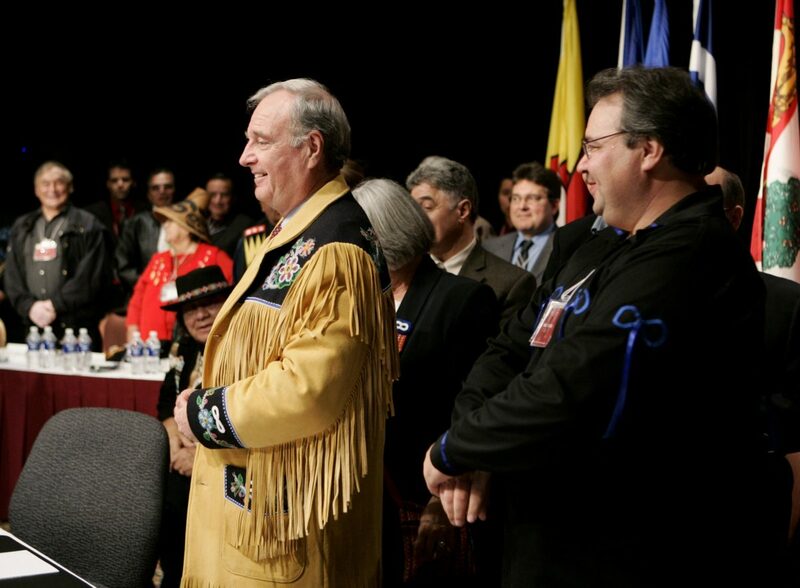 November 24, 2005: Prime Minister Paul Martin attends the Opening Aboriginal Ceremony at the First Ministers Meeting at Kelowna, British Columbia. Photo by Dave Chan-PMO. After 18 months of painstakingly crafted consultations and negotiations, Prime Minister Paul Martin felt he was witnessing – and had helped to shape – history. “All of us around the table – federal, provincial and territorial leaders, and certainly myself – felt that we had crossed a threshold that absolutely had to be crossed,” says Martin, who spoke to The Orca from his office in Montreal. This November marks 13 years since the Kelowna Accord, the result of an 18-month consultative process that involved the federal government, provincial and territorial governments, and five national Indigenous organizations. It was perhaps Canada’s most ambitious and far-reaching attempt to “close the gaps” in the standard of living between Indigenous and non-Indigenous Canadians. Just four days after the Accord was signed, Parliament was dissolved. In the subsequent election, Martin’s minority government was defeated, and the Accord was never implemented. The harsh reality is undeniable: on almost every socio-economic indicator, Indigenous Canadians lag far behind the Canadian average. “Even after we began to abolish residential schools in the 1960s, governments continued to tragically underfund all the social needs of Canada’s Indigenous communities,” says Martin. It’s not about welfare, but the basic social services most Canadians take for granted and, in many cases, don’t even realize are vastly superior to those offered in Indigenous communities. Yet at the time negotiations started in 2004, First Nations youth were more likely to be incarcerated than graduate from high school. Infant mortality in Indigenous communities was almost 20% higher than in the general Canadian population. All these factors create a vicious circle of disadvantage. “Around that time, I was growing more and more aware of how impossible it was to get First Nations out of poverty,” says Ross who, at that time, was just beginning his political career as councillor of the Haisla First Nation. The only way to start was to listen. The first formal meeting was held on April 19, 2004, with nearly 150 participants. From Ottawa: the Prime Minister and his entire cabinet. Various officials from provincial and territorial governments. From Canada’s national Aboriginal groups: representatives from the Assembly of First Nations, the Inuit Tapiriit Kanatami, the Métis National Council, the Native Women’s Associations of Canada and the Congress of Aboriginal Peoples. Grand Chief Edward John of northern B.C.’s Tl’azt’en Nation was one of those leaders. “We had our own discussions with (then-) Premier Gordon Campbell, and some federal ministers, and came prepared with a written document,” says John. The document outlined the B.C. Indigenous communities’ priorities for negotiation. 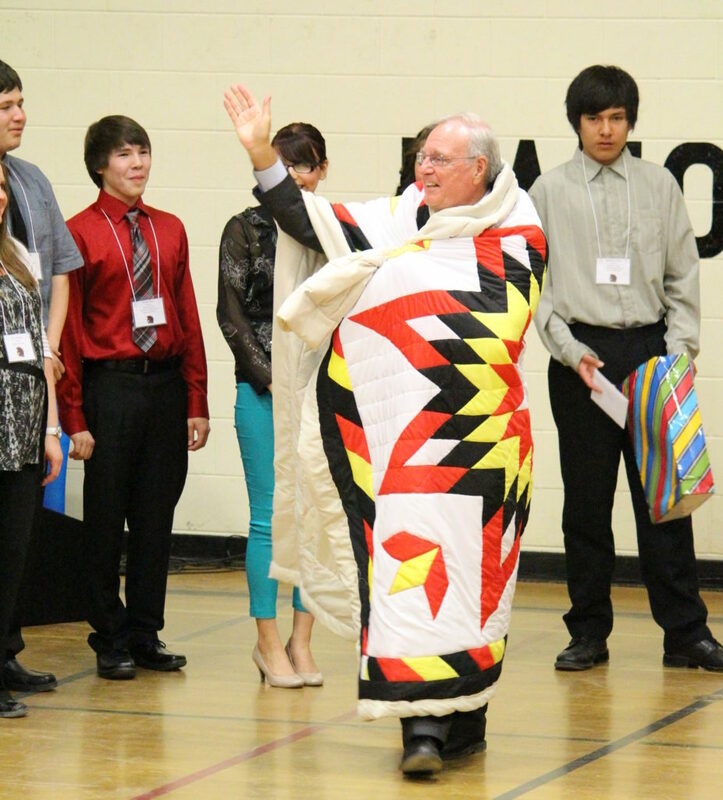 These included economic development, health, housing, education, and treaty rights. Martin ensured the resources were committed up front. Finance Minister Ralph Goodale set aside $5 billion for the subsequent five years in the government’s books and Martin said there would be a commitment for another $5 billion after that. Not all Indigenous leaders thought the negotiations and eventual Accord were worth pursuing. The problem, as Ross saw it, was that the vast differences between individual Indigenous communities meant establishing common needs was effectively impossible. “Some communities were saying ‘we’re going to get paved roads, water, and sewer’ – that’s great, but my community’s had that since the ‘60s,” says Ross. Those kinds of doubts were understandable, which is why Martin insisted on breaking talks regularly. “Indigenous leaders wanted to make sure they were bringing their people along with them and that’s exactly what happened,” says Martin. It meant a longer process, but according to Martin and John, it was time well spent. “It could have been a shorter negotiation, but nowhere near as successful,” says Martin. It all led up to that day in Kelowna – and the sense that history was being made. But even as the country’s leaders celebrated, the spectre of a federal election loomed. “It was too late in the day,” says John. “It was an election budget, which to me isn’t a very good place to make a commitment,” because future governments would not necessarily be bound by the Accord. Four days later, Martin’s government was dissolved and his Liberal Party lost the subsequent election. Stephen Harper’s new Conservative government believed it had a mandate to reduce Ottawa’s spending – and the new multibillion-dollar Accord was an obvious target. After all, the money hadn’t even been spent. As prime minister, Harper didn’t implement the Accord, but he did make a formal apology to former students of residential schools, which both Martin and John appreciated. 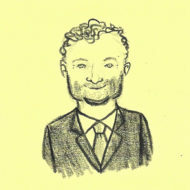 But Martin says he I couldn’t believe the government would walk away from the one tangible move the apology deserved. Despite no longer being in government, Martin made every effort to persuade his successor. He stayed on to serve as a Member of Parliament and introduced a motion requiring the new government to honour the Accord. “I went before the Parliamentary Committee and the Conservatives did everything they could to fight against the Accord. However, the motion passed and became the law of the land, says Martin. There was still one other card to play: the back, unofficial channel. After all, you’d have to think sitting prime ministers would almost always take calls from former prime ministers. Martin believes Kelowna will be remembered as a missed opportunity. “We lost ten years. That’s half a generation. Think of the young people who would have benefited during those ten years. Think of the progress that would have been made in housing, clean water, health care, and education,” says Martin. For their part, Ross and John both respectfully disagree. “It’s all speculation, because it didn’t happen in the end. But I’m not sure how things would have changed,” says John. John notes that it would all come down to political will. In B.C., with its treaty system and the often contentious questions of rights, title, and what those mean in a practical sense, the Accord may have created more clarity. Martin says these promises and more significantly, the $10 billion over 10 years, wouldn’t merely have made a difference, but transformed Canada.